The Foundation has found an emerging role in helping to make Schenectady's neighborhoods healthier, safer and more livable. And recent investments in the community are paying off -- turning once blighted properties into healthy homes and recreational space for community members. The Foundation is stepping up its commitment to improving conditions in Schenectady neighborhoods, including health, safety, housing, employment and the urban environment. By removing or preventing blight, making more and better green space, addressing health disparities and stimulating economic activity, we can begin to reverse the negative trends we see in some parts of the City. Devise ways to gauge impact, and receive feedback from residents and stakeholders. We believe a unique role for the Foundation is to engage and support resident involvement in the revitalization of their own neighborhood. We prioritize this in all projects we consider for funding. “Hamilton Hill 2” will get a boost from a $250,000 grant from The Schenectady Foundation to continue to clean up abandoned buildings, and create 85 new housing units, including mid-rise and low-rise apartments, and single family homes. A new Laundromat will also be included, which was an important need identified by neighborhood residents. The Hillside View Project is reshaping Craig St. in Hamilton Hill, and providing new housing opportunities for residents. Working with The Community Builders, Albany Barn, Metroplex and the Wright Family Foundation, our investment of $225,000 helped win $20 million in NYS tax credits, and will support the development of community maker-space and economic opportunities for people in the community. 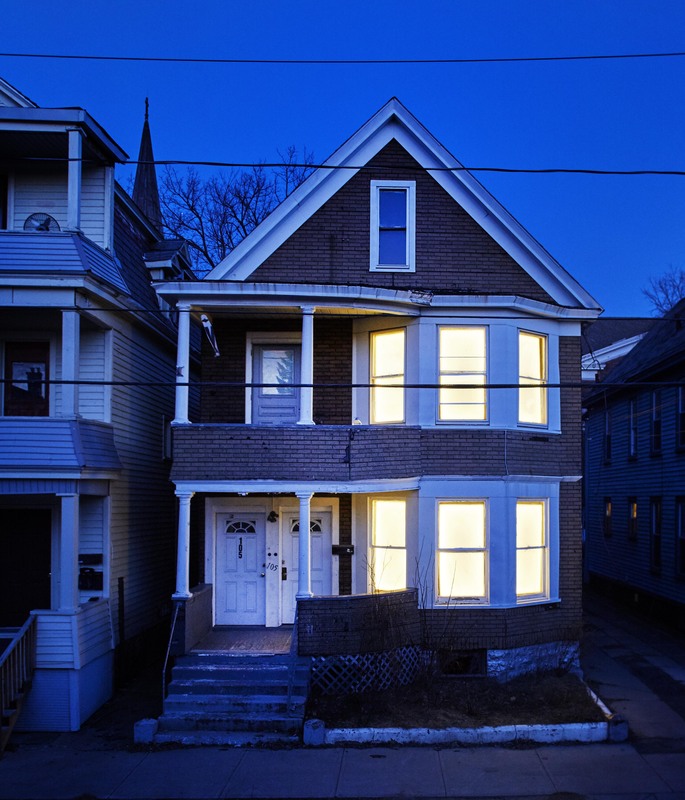 The Breathing Lights -- a regional art installation -- brought attention and resources to the problem of urban blight and abandoned homes in Schenectady, Albany and Troy. Because of the project, which utilized lighting technology to make homes appear as though they were "breathing", we've been able to launch the Green and Health Homes Initiative which is training communities to identify and remediate "unhealthy" homes that are associated with serious child illnesses such as lead poisoning and asthma. Operation Railbridge is an innovative approach to connecting neighborhoods, improving lighting and public safety integrated with art and history. The Foundation supported the prototype of Operation Railbridge, which uses sound and lighting technology to make once foreboding rail underpasses safe connectors for pedestrians while showcasing art and the history of the community. With additional funding the project would restore and improve nine rail overpasses in the City. The new Eastern Avenue park opened in 2017, but will be completed in Spring 2018 behind the leadership of the Land Bank. The Foundation invested $100,000 in Phase 2 of the new green space on Eastern Avenue that will include a splash pad, as well as safe access to the Vale Park trails. The park brings much needed green and recreational space to the neighborhood. The splash pad will be a hit with children! The Foundation invested in a break-through project to make the Bornt Branch Library a Family Place Library. To qualify for the designation, the library developed new programs, and proactively reached out to the parents and caregivers in the surrounding neighborhoods. As a result, the Bornt Branch is a thriving hub for community resources, providing an inviting environment for families with young children in Central State and Hamilton Hill neighborhoods. New programs help children acquire language and literacy skills that are the foundation for reading. The Foundation has recently made another investment in strengthening neighborhood libraries as critical community resources by committing $150,000 to develop the new Mont Pleasant branch, to remove blighted properties in the neighborhood and to make Orchard Park safe and accessible. You can become an investor in turning around Schenectady's neighborhoods with your contribution to our Transforming Communities Fund. 100% of all contributions will go toward programs like those we've started, and those that are now developing -- all focused on making the quality of life in our neighborhoods better.